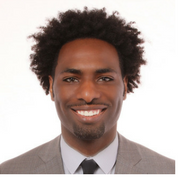 Jameel is the Director of Organizational Development at Day & Zimmermann (D&Z). In this role Jameel partner’s with D&Z’s Engineering, Construction, and Maintenance Group (ECM) and their Manufacturing Group (DZMG) in all aspects of Talent and Organizational Development. Prior to his role with Day & Zimmermann, Jameel spent over 8 ½ years with the Aramark Corporation in a multitude of Talent Management and Human Resource roles. Those roles included the Director of Global Diversity and Inclusion, Leadership Development, Organizational Effectiveness, Organizational Development, and being an HR generalist in Aramark’s Sports and International groups. Jameel has his Master’s Degree in Organizational Leadership and Development from St. Joseph’s University and is a graduate from Temple University with a Bachelor in Business Administration focusing on Human Resource Management and Management Information Systems. He has obtained Human Resource certifications from Villanova University, his Professional in Human Resources Certification (PHR) from the Human Resource Certification Institute, and is a SHRM Certified Professional (SHRM-CP). Jameel serves as the President-elect for the Philadelphia Society for Human Resource Management, the board of People for People Inc., the Graduate Advisory Board for Peirce College, and the Advisory board for Jane Hires. Jameel has been recognized numerous times for his work in the Philadelphia and HR community including being nominated as an HR Rising Star of the Year in 2012 by the Delaware Valley HR Person of the Year Awards, receiving the HR Rising Star Award from Temple University in 2015, being named as one of Philadelphia’s Top 55 Connectors and Keepers by Leadership Philadelphia, and most recently being placed on Philadelphia’s Top Young Professionals under 40 list by the Philadelphia Business Journal. Jameel also serves as an adjunct professor at Temple University and participates in their HR Roundtable which uses local professionals to help guide the curriculum of their Human Resources Program. He is a proud Philadelphia native and graduate from the Philadelphia Public School System.